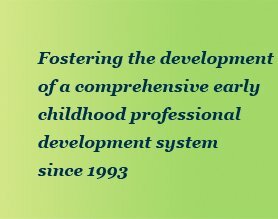 Leadership in Infant and Toddler Learning Post-Baccalaureate Certificate Addresses Critical Need for Professional Development in North Carolina. The NC Division of Child Development and Early Education (DCDEE), Child Care Services Association (CCSA) through it T.E.A.C.H. Early Childhood® scholarships and The University of North Carolina at Greensboro (UNCG) partnered together to address the tremendous need for professional development specifically targeted to improved the quality of infant and toddler care. The result is a new graduate-level Leadership in Infant and Toddler Learning (LITL) Certificate program that is being piloted at UNCG. Enrollment for a second cohort of students is ending soon. Learn more here. Effective early childhood education paves the way for school success and better life chances. This is a well-researched fact. Yet, a high percentage of young children in our country do not experience quality early childhood programs. One reason for this failure is the misconception that staff with minimum professional training and poverty line salaries are enough to deliver effective early childhood education. The truth is that better educational outcomes for children, especially those who begin life at social and economic disadvantage, require skilled, professional, well-compensated early childhood teachers. Read more here. More early educators are finding value in the Early Educator Certification (EEC). As a professional in the early care and education system, North Carolina early educators working from infancy to pre-kindergarten are seeking ways to share with employers and families their educational attainment in this important work of teaching our young children. The Early Educator Certification provides a certificate that early educators can share or post to highlight their educational attainment without having to pull out their degree or transcript. Also, technical assistance professionals are being certified to work with early educators when providing professional development. To learn more about how you can certify your individual education, please review the updated materials in the certification section. While we encourage ongoing education, it is no longer required for renewal, except for those certified at Levels 4 to 8 with less than 6 focused semester credits. EEC can provide a certificate to document your success, as well as opportunities to participate in the NCICDP EEC Rewards and Benefits program that offers great savings. Early Educators are professionals and deserve to be compensated for their educational attainment and experience. Share your worth with EEC. The NC Early Education Coalition (Coalition) advances the quality and affordability of early care and education for young children, their families and communities. Through research and advocacy, the Coalition builds partners with early childhood educators, early care and education providers, Smart Start, child care resource and referrals agencies, higher education and others to improve programs and policies and/or increase funding for low income families through child care subsidy, scholarships and wage supplements for early educators, NC Pre-K, Smart Start and more. Learn how you can become involved and become a member of the Coalition. The NC Institute for Child Development Professionals and The University of North Carolina at Wilmington (UNCW) co-hosted its fall Lean In and Learn Webinar on December 5, 2018. You can view and listen to this 3-hour webinar, with state and national leaders through this link. Working with young children? Want to know more about social-emotional development or the impact of stress and trauma? Check out this online course: Attachment Vitamins: Interactive Course on Early Childhood Attachment, Stress, and Trauma. You need to register when you go to The National Child Traumatic Stress Network site. Then search for Attachment Vitamins and take the course. It’s free. This online course is an interactive, self-paced, e-learning course for those adults who often find themselves in the company of children ages zero to five and their families. Perfect for professionals such as early childhood educators and child care providers, public health workers, nurses and other medical providers, and case managers, and for the caregivers of young children. Co-created by Dr. Alicia Lieberman, author of The Emotional Life of the Toddler and world-renowned expert in the areas of child development and trauma, Attachment Vitamins provides an overview of early social-emotional development with suggestions to support healthy and mutually-satisfying child-caregiver relationships. During the course, participants will learn about early childhood social-emotional development; explore the impact of stress and trauma; reflect on the possible meanings of children’s behaviors; delve into the influence of culture on families’ socialization goals; and become familiar with a number of strategies aimed to promote secure attachment and safe socialization practices. New Tools For TA and PD Specialists Available! Spread the word! More Play Outside NC tools have been developed as part of a multi-year project supported by PNC Grow Up Great. Download Free Tools! Below are links to free tools developed for early educators working in the classroom and for those supporting the work of early educators through the provision of training, education, technical assistance and quality improvement. Free Video Segments! A series of six Play Outside public television segments for use by early educators as training tools, parent education and/or resources developed are available below. Segments 4, 5 & 6 were developed during this phase of the project and aired on UNCTV this past spring. Free Activity Cards! Click here to access a series of free activity cards to support early educators and families making connections with young children about learning concepts using the outdoor environment are attached to share, use and post! The Early Childhood Workforce Index 2018, produced by the Center for the Study of Child Care Employment is available. This second edition describes early childhood employment conditions and policies on a state-by-state basis. Learn how each state is faring in addressing the needs of and resources for our nation’s early childhood educators. You can access the report and state factsheets here. We can all lift our voices to share the need for early educators to earn a worthy wage. Duke Center for Documentary Studies Highlights Low Wages of Early Educators. View Portrait of an Early Childhood Teacher . Check Out Career Videos. Sandhills Community College has released a set of College to Career videos, featuring Early Childhood Department students who have pursued degrees, articulated credits into four-year and graduate degrees, entered from home school settings. Click here.